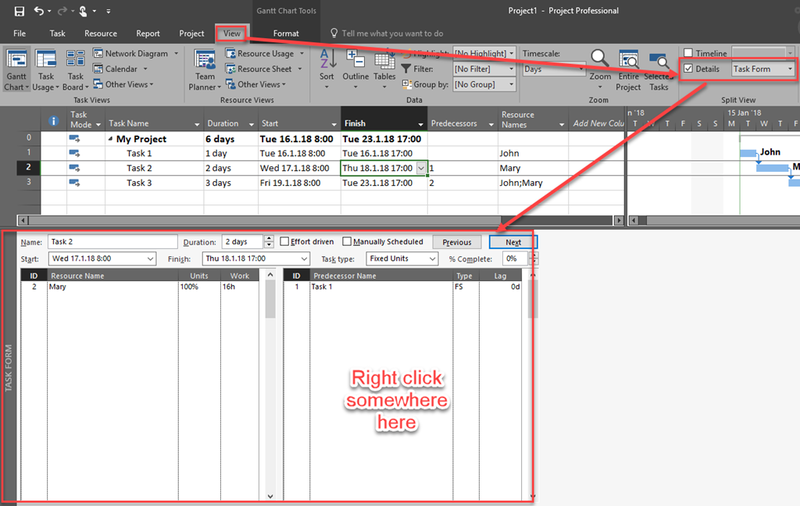 Task Form is very useful thing in MS PROJECT 2016, and it can be use in various ways. 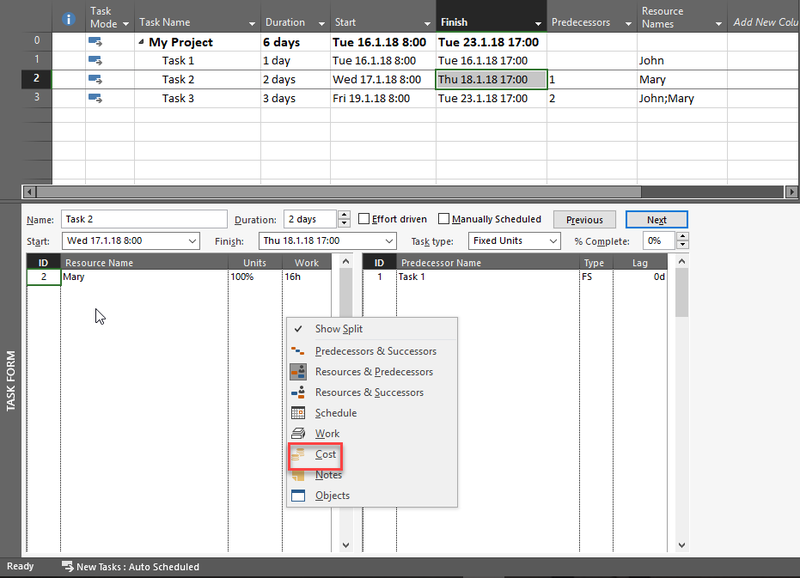 Today I’ll show how to see Costs for Task per Resource. 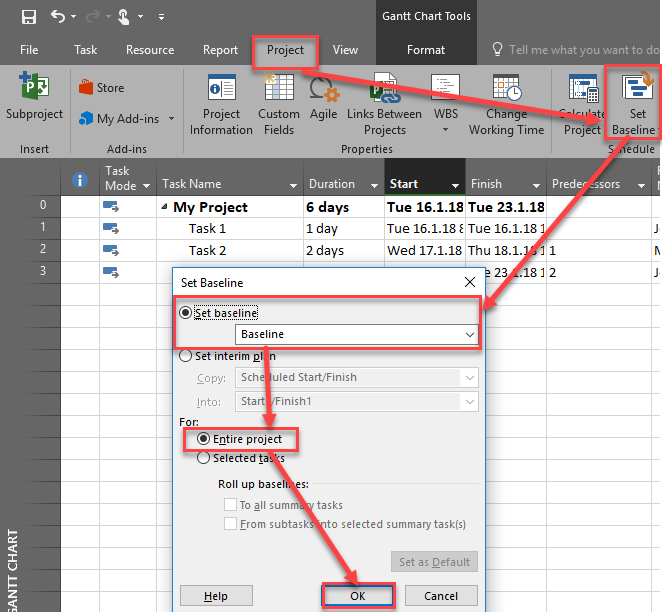 As you can see, when I select Task 3 (for example), I can see Total Cost and Total Baseline cost for the whole Task (Two Columns in Gant Chart View, which I added on purpose), and in the Task Form I can see Total Cost, Total Baseline Cost, and Actual cost for Resource for Task!. 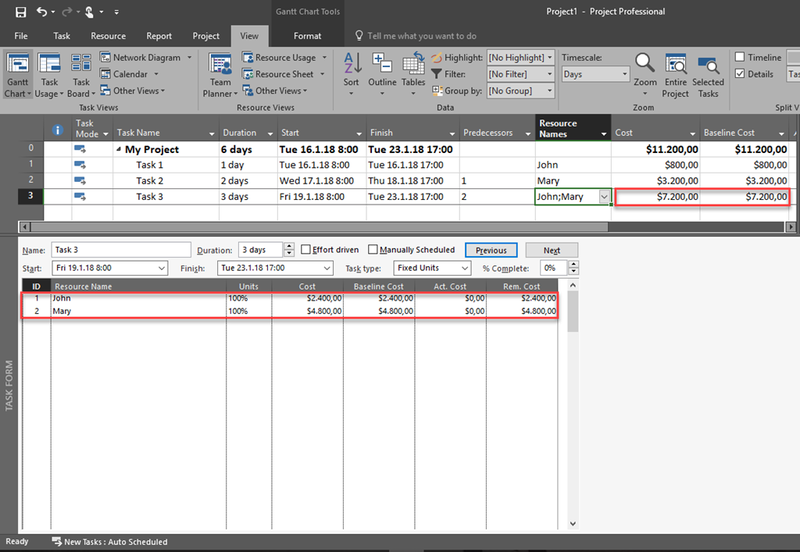 This entry was posted in MS PROJECT 2016, PMI, PRoject Management and tagged Micorosft Project 2016 - Costs, Micorosft Project 2016 - Task Form. Bookmark the permalink.